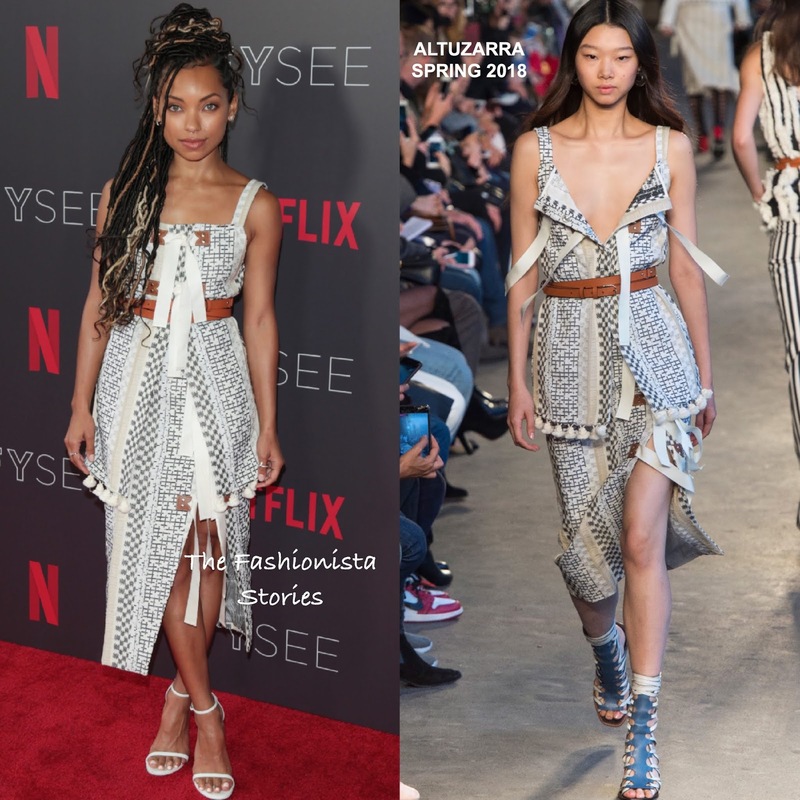 Logan Browning may not have been known by many before on the red carpet because she wasn't a regular but she has always been on my list. The actress attended the Comediennes: In Conversation at Netflix FYSEE event at Raleigh Studios in LA on yesterday(May 29th). Logan recently started working with two of my favorite stylists Wayman & Micah and they helped to elevate her style. She stepped out in a ALTUZARRA SPRING 2018 layered, belted dress which she teamed with the white STUART WEITZMAN 'Nudist' sandals. The look was perfect for the panel event which was topped off with a flawless beauty look and a selection of silver rings and SWAROVSKI earrings. What do you think of Logan's look?